Very nice quality and realism for this haku. 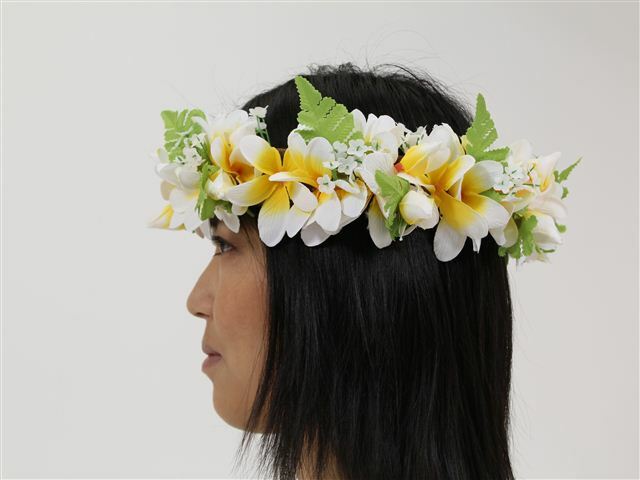 A great replacement for the real one I wore for beach vow renewal hula dance earlier this year at Makapu'u Beach. Would buy again. Hard to find haku with velcro ... mimic's a real plumeria haku. Just know this plumeria is more WHITE Yellow.